As of December 1, there were 73.2 million hogs and pigs on U.S. farms, up 2 percent from December 2016, but down slightly from September 1, 2017, according to the Quarterly Hogs and Pigs report published today by the U.S. Department of Agriculture’s National Agricultural Statistics Service (NASS). 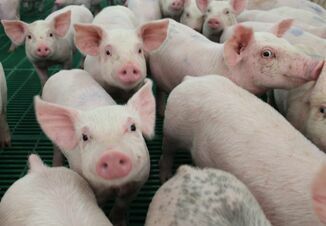 Of the 73.2 million hogs and pigs, 67.1 million were market hogs, while 6.18 million were kept for breeding. Between September 2017 and November 2017, 33.4 million pigs were weaned on U.S. farms, up 3 percent from the same time period one year earlier. From September 2017 through November 2017, U.S. hog and pig producers weaned an average of 10.74 pigs per litter. 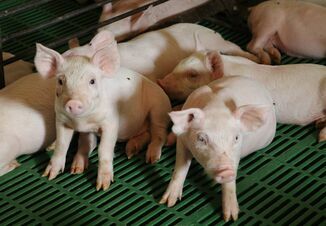 U.S. hog producers intend to have 3.07 million sows farrow between December 2017 and February 2018, and 3.08 million sows farrow between March 2018 and May 2018. Iowa hog producers accounted for the largest inventory among the states, at 22.8 million head. North Carolina and Minnesota had the second and third largest inventories with 9.00 million and 8.50 million head, respectively. To obtain an accurate measurement of the U.S. swine industry, NASS surveyed over 9,200 operators across the nation during the first half of December. The data collected were received by electronic data recording, mail, telephone and through face-to-face interviews. All surveyed producers were asked to report their hog and pig inventories as of December 1, 2017.